A favorite activity among the teenagers in our church’s youth group is sharing ‘Highs and Lows’. Sitting in a circle, each teen takes a few minutes to share exciting and interesting events in their lives, as well as expressing disappointments they are facing. It’s a great exercise because it helps teach kids how to express their emotions and effectively communicate with others. It is a practice many married couples could certainly benefit from to improve communication in their marriage. Strong and effective communication can be a catalyst to an enriched relationship. But even with that knowledge, many couples struggle to express themselves in a healthy way. Over time, the stress that comes from the inability to talk effectively leads to emotional disconnection and withdrawing. Often the barometer of the health of a marriage can be measured by how each partner shares life’s little triumphs and disappointments. If something in your life is bringing you joy, share it to bring your spouse joy. Laughter and smiles are infectious and even a little positive news can help lift the mood at the end of the day. There is something special about sharing your highlights with your spouse because it is an opportunity for healthy bonding. Finally, let your spouse know you want them to be the first person to hear your good news. When a friend hurts your feelings; your performance at work isn’t appreciated, or the baby didn’t nap and now you’re exhausted; share those difficulties with your spouse. At times, it is often negative emotions that we tend to push down and not share. But in doing this, they usually come back to bite our partners in the form of short-tempered answers or the silent treatment. It is better to share you’re not upset with your mate, but instead, you are disappointed, tired or hurt by others. When sharing sorrows, concentrate on relating your feelings about the event as opposed to venting about the event itself. Your partner will more likely be able to connect and empathize if you are sharing your true emotions. Expressing anger will more likely result in your spouse attempting to problem solve or become defensive. That is a lose-lose for both parties. Instead, if you are the spouse listening, do so attentively and empathize. Be sure your spouse is looking for solutions before you offer one. 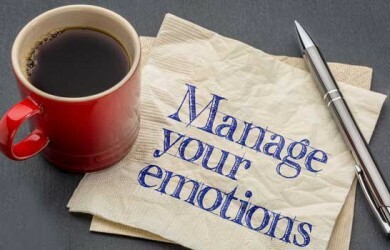 And even when they are, make sure to validate their emotions before offering solutions. Couples should make it a point to catch their spouse doing something good. Dr John Gottman, considered to be the marriage guru, believes for each negative comment you make to your spouse, it requires five positive comments to balance out. Think how quickly your relationship can get off balance if you are rarely lifting up your partner with inspiring words. Consistent praise is a powerful tool that can motivate and inspire individuals to maintain a positive outlook even when circumstances are not favorable. Eddie Capparucci is a Certified Marriage Counselor and Certified Sexual Addiction Therapist. He’s passionate about helping couples who feel emotionally overwhelmed and have little hope that their relationship can be restored. He helps them create a road map that first stabilizes their relationship and then helps them reconnect again. Missing Out on Emotional Connection Opportunities? Here’s What You Can Do! Is Your Inability to Regulate Your Emotions Destroying Your Marriage?